This week's ConcertCast is a sumptuous, if eclectic, clash of genres. We have dueling concerts on Wednesday night. Quebec post-eclectic collective Godspeed You! 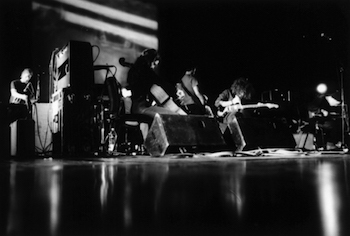 Black Emperor are touring in support of Asunder, Sweet and Other Distress, the follow-up to their Polaris Prize-winning 'Allelujah! Don't Bend! Ascend! They'll be at the 9:30 Club this Wednesday. Ontario indie folksters The Wilderness (not to be confused with the seemingly defunct Baltimore-based Wilderness) are playing a free set in Gypsy Sally's Vinyl Lounge. Their music channels a diverse set of influences, sounding alternately like a more ragged take on The Dodos or a stripped-down Clap Your Hands Say Yeah. Grammy-nominated California duo The Milk Carton Kids bring their virtuosic, Simon & Garfunkel-inspired folk rock to GW's Lisner Auditorium. Another double-booked night, although you could conceivably catch both headliners given their staggered door times. Ohio rockers Heartless Bastards headline the earlier gig at the 9:30 Club. Their sound is mellower and more diverse than ever, and the band is clearly unafraid to have a little fun at their own expense. Take a gander at their video for 'Hi-Line', featuring an unforgettable cameo by the Geto Boys' Bushwick Bill, as evidence of the band's growth (and sense of humor). 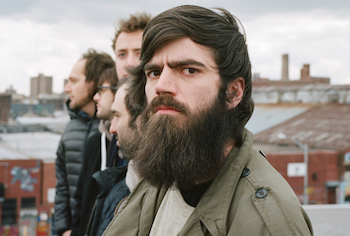 Titus Andronicus, the vanguard of New Jersey punk, roll into the Black Cat 2 hours later, in support of their ambitious double disc rock opera The Most Lamentable Tragedy. Bring your earplugs.